Devon Karndean Flooring Specialist, Fred Hansford Ltd, gives a brief overview on the advantages of choosing Karndean Floors. Choosing a Karndean floor makes good and economical sense. With a massive variety in styles the design possibilities are endless. Firstly, Karndean floors really grab your attention as it looks and feels just like the real thing. Whether you choose a wood, slate or marble effect floor, your friends will never know the difference. Karndean Flooring is suitable for any room in the home even in Kitchens and bathrooms, where products such as wood and laminates can be adversely affected by water spillages. Karndean Flooring is much warmer to the touch than most natural flooring products which enables you to recreate the authentic look of a stone floor without ever having to experience the coldness of the real thing. Where products such as wood and laminates can be very noisy when walked upon, a Karndean floor is very quiet underfoot, making it the natural choice throughout the home. 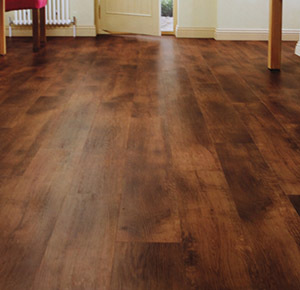 Additionally, Karndean flooring will not splinter, chip or crack making it very durable and hard wearing. Buying a Karndean floor is an affordable option taking into consideration the beauty and practicality of the the flooring itself.